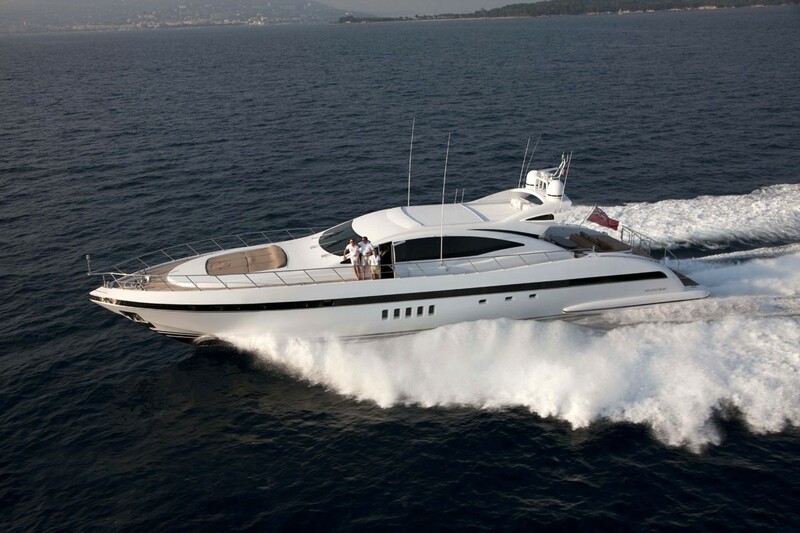 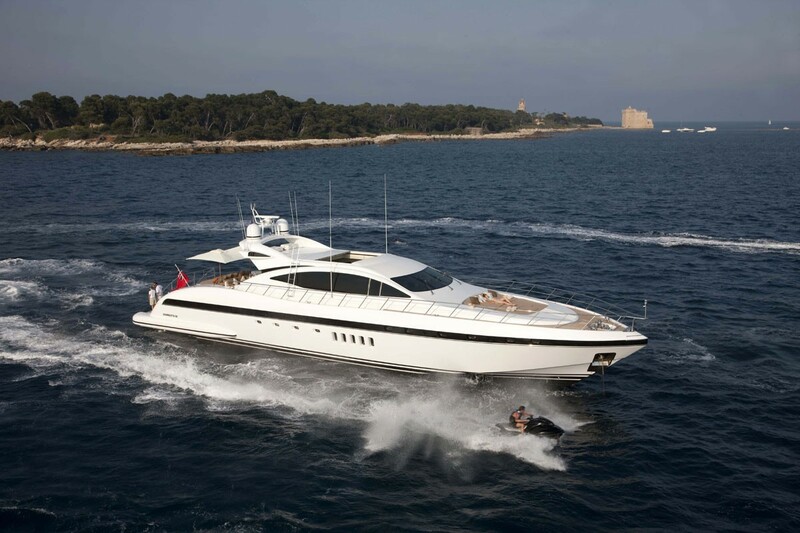 Luxury motor yacht ENZO was built in 2005 by the Italian yacht builder Mangusta (Overmarine). 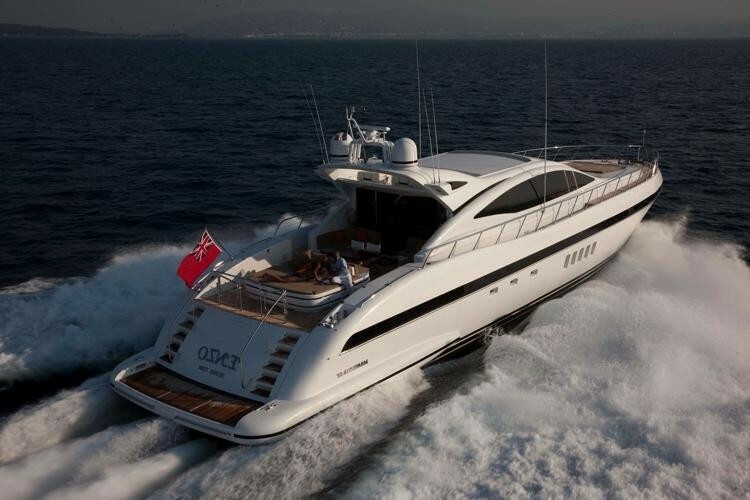 Measuring 28.27m (92.9ft) in length, this open style yacht boasts a sleek eye catching hull design. 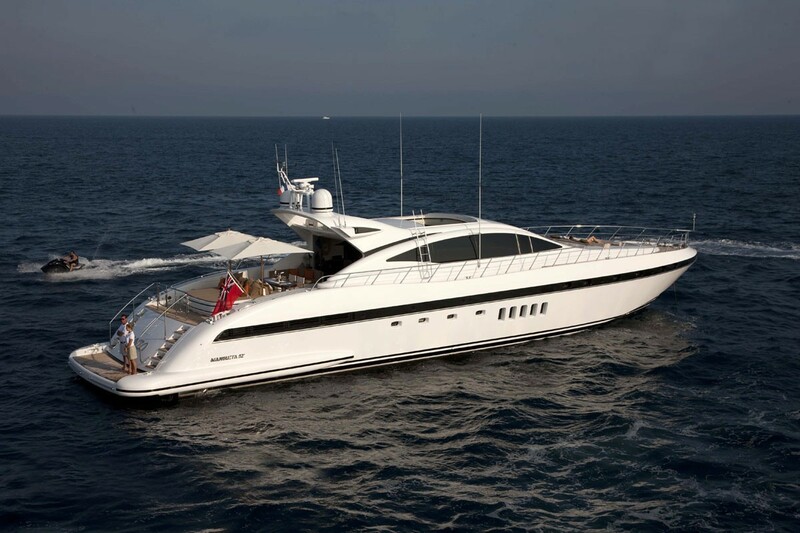 Offering deluxe crewed yacht charters in the West Mediterranean, ENZO can accommodate 7 – 9 charter guests, in 3 cabins and one convertible second salon. Yacht ENZO features a sumptuous interior décor of timeless neutral tones. 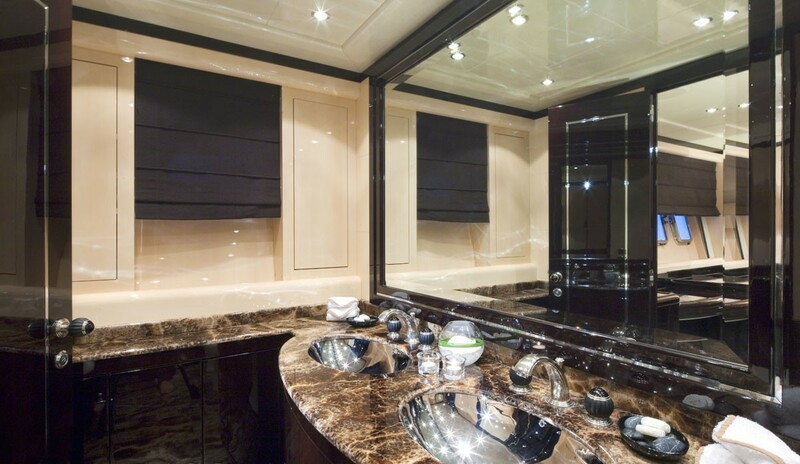 Dark woods and light creams complement each other, creating a harmonious and soothing ambiance. 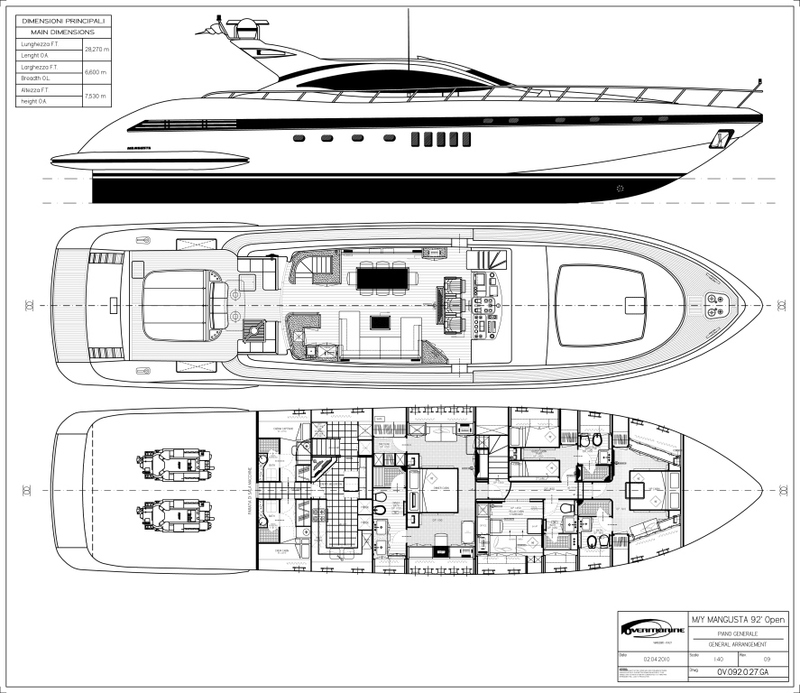 Below decks, a spacious salon can easily be converted into a guest double cabin. Three guest cabins consist of 1 super king bed in the master suite, 1 king bed in the VIP cabin, and 2 single plus a Pullman berth in a guest cabin. 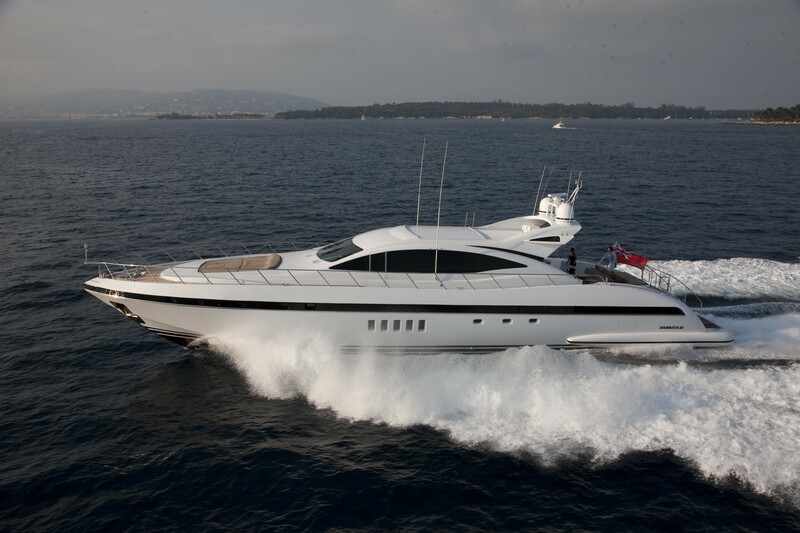 The main salon is on the main deck and boasts a contemporary open plan, with 2 large sofas, coffee table and formal dining table. 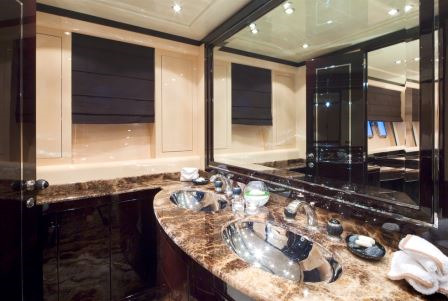 A full entertainment center is forward of the salon with a hideaway TV. 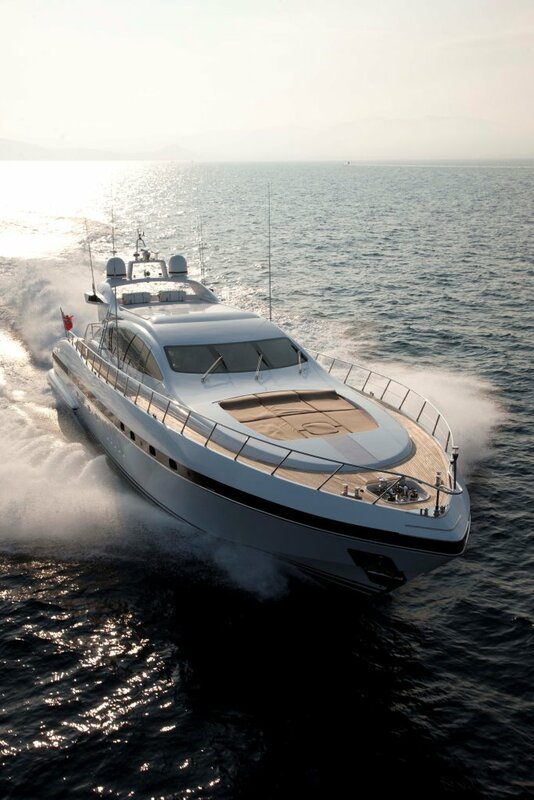 The salon has a retractable roof, allowing for both an alfresco and formal dining experience, at the touch of a button. 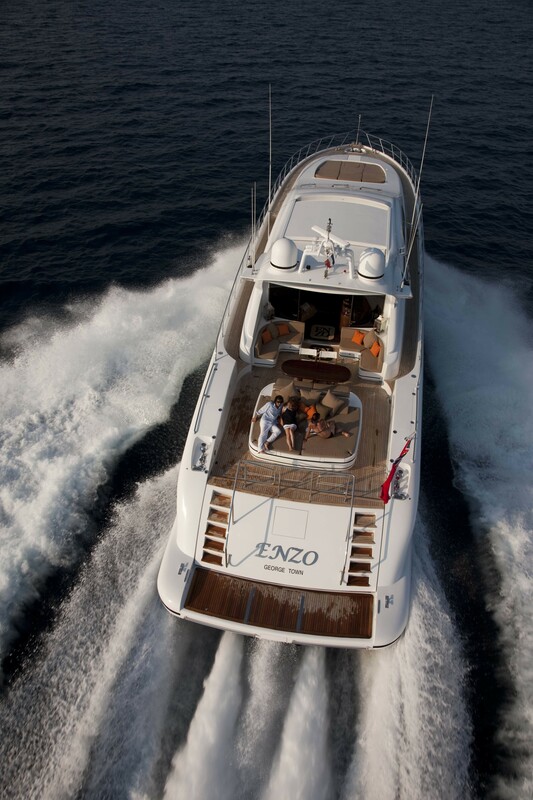 Charter yacht ENZO has plenty of exterior living to enjoy. 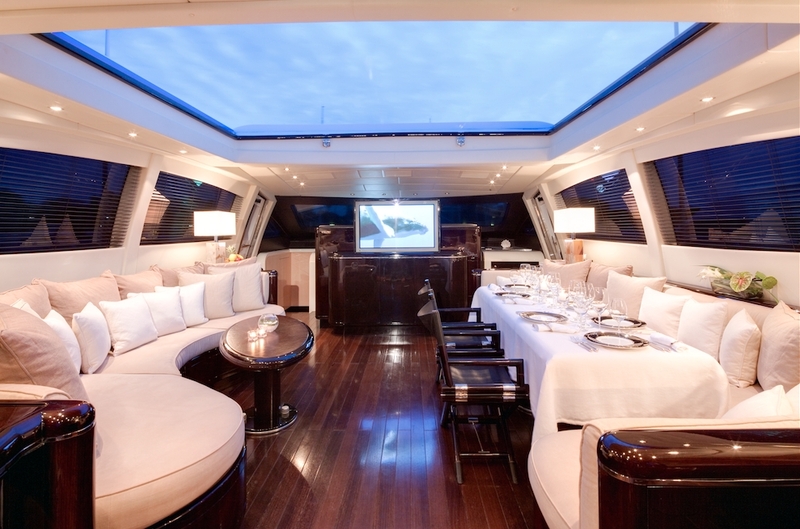 Aft of the upper salon is a large deck area with lounge seating, tables, wet bar with BBQ and massive sunpad. 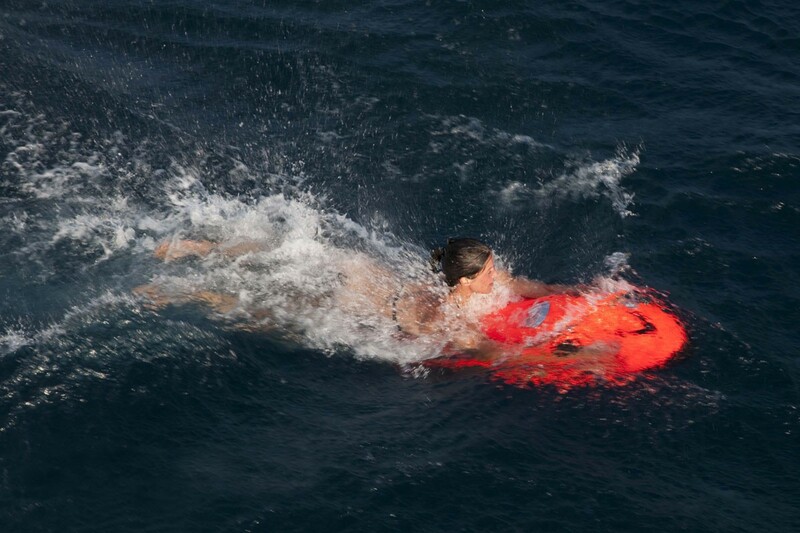 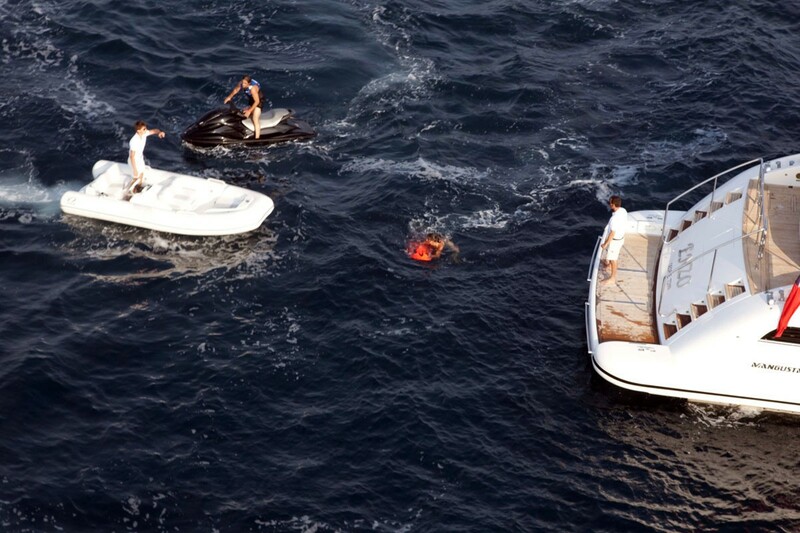 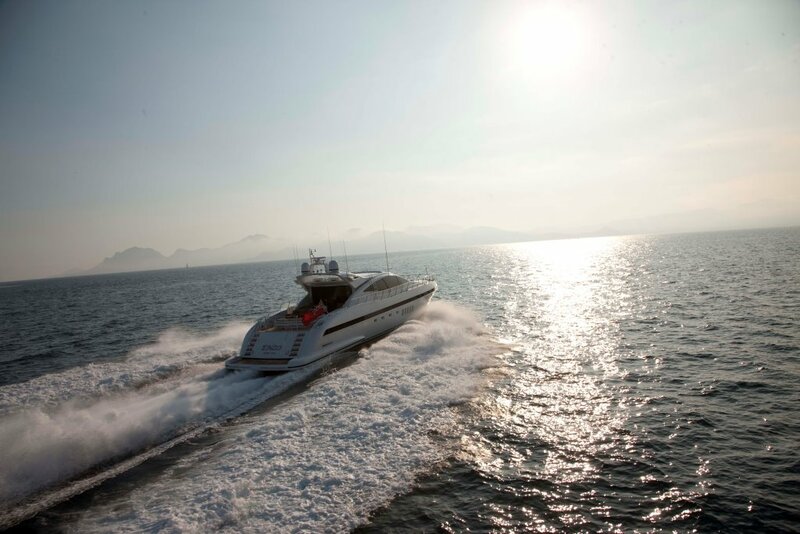 Further aft, the extended swim platform ensures effortless water access, to a good range of sea toys on offer. 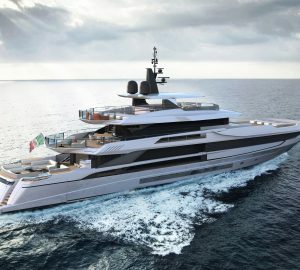 M/Y ENZO’s main deck wraps around the yacht, leading to a generous foredeck, where an additional large sunpad beckons the sun worshipers. 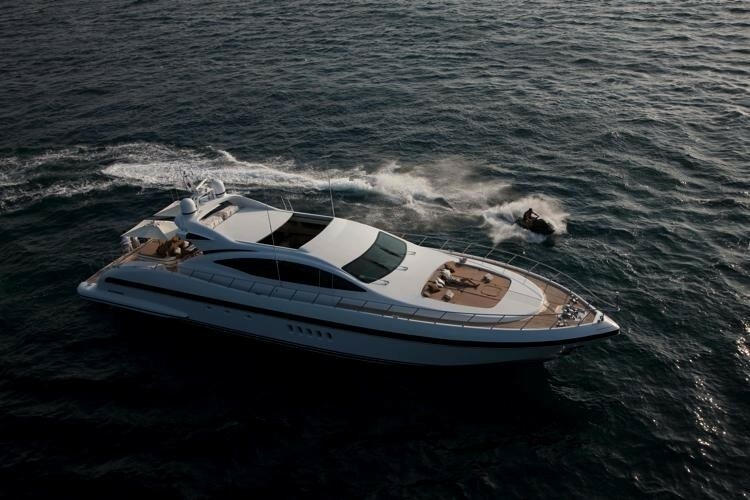 Powered by 2 MTU 2000hp engines, the ENZO motor yacht easily cruises at up to 30 knots. 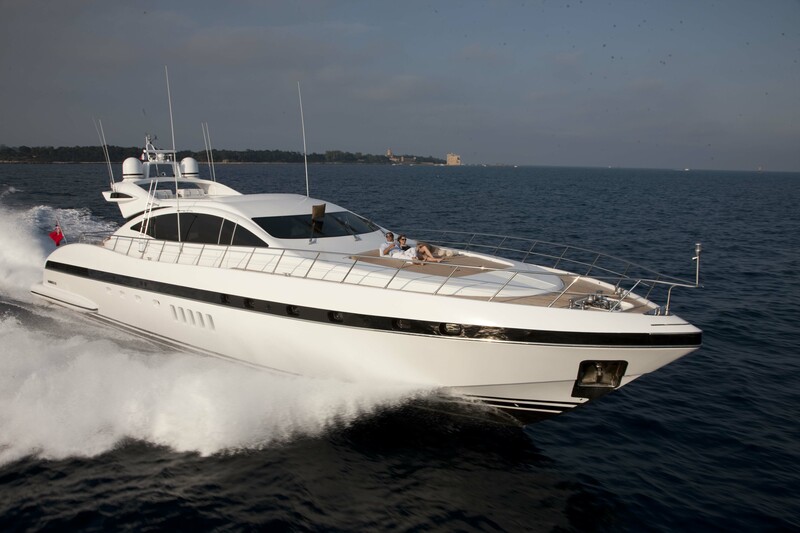 Luxury yacht ENZO offers accommodation in 2 king cabins, 1 double convertible cabin and one twin cabin with a Pullman berth, each with en-suite facilities. 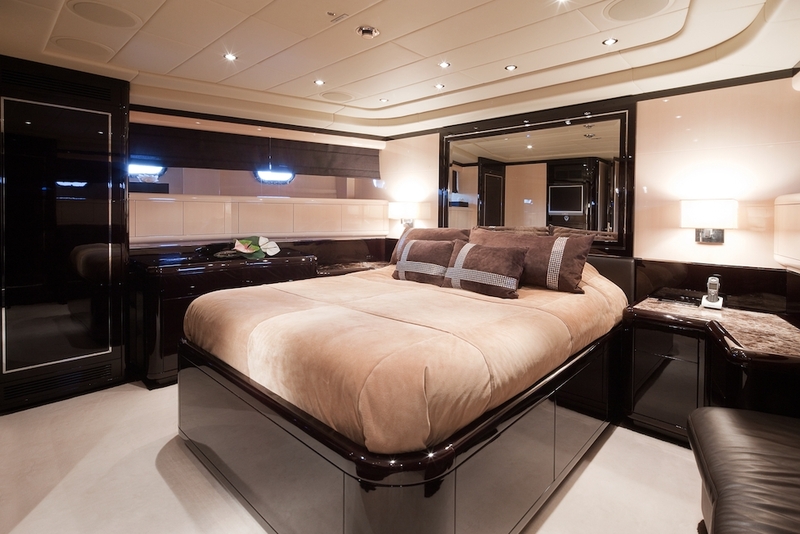 The master suite offers an oversized king size bed and is full beam of the yacht amidships, with a sofa and vanity. 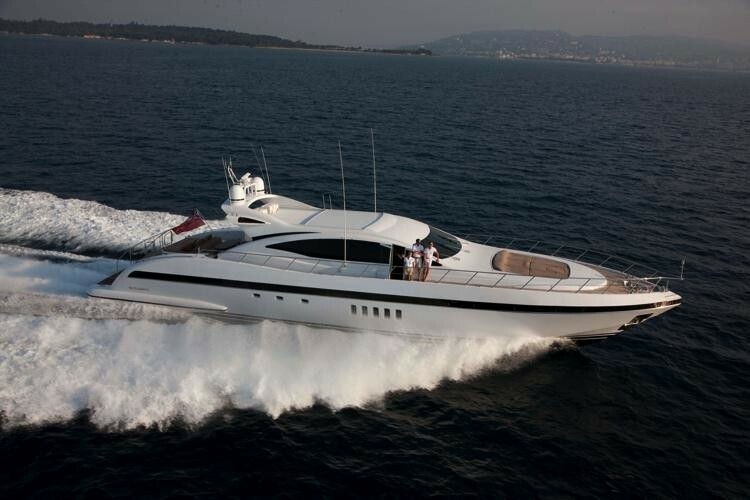 The VIP cabin is forward and full beam of the yacht with a king size bed and sofa. 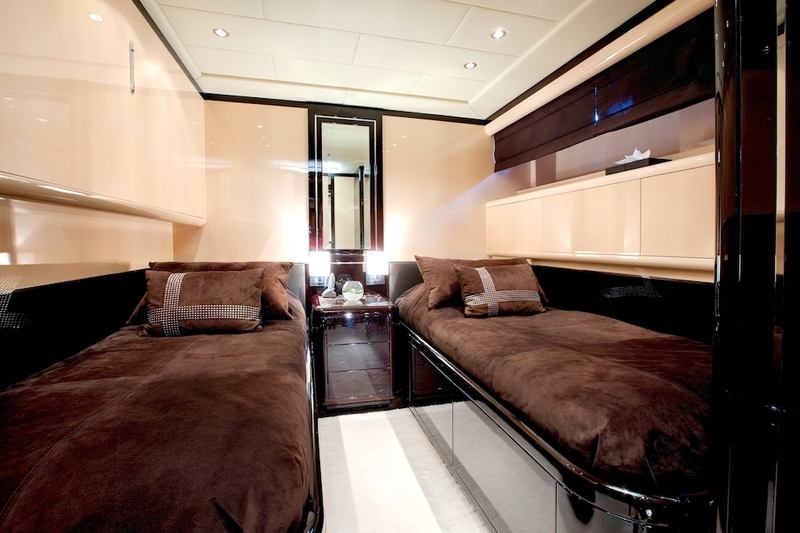 The salon convertible cabin offers a double bed. 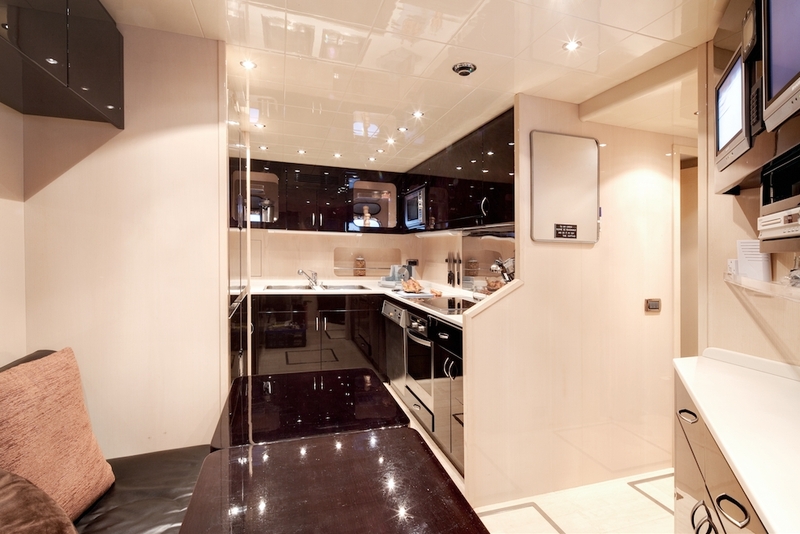 A guest twin cabin features 2 single beds and a Pullman berth. 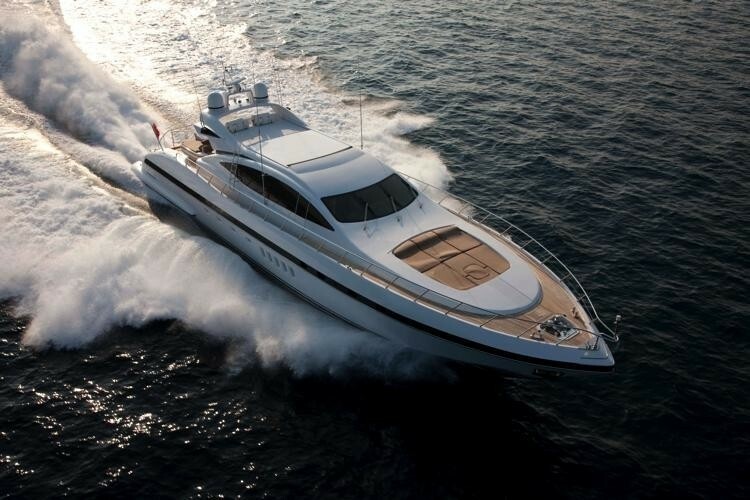 All of motor yacht ENZO’s cabins boast plenty of natural light. 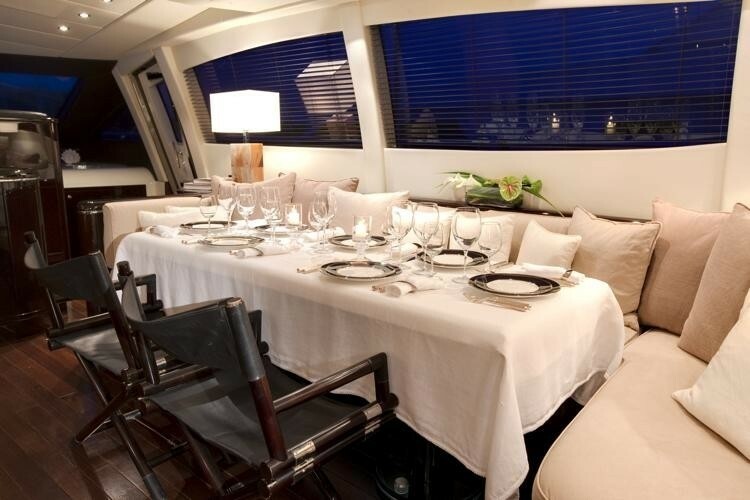 The elegant décor is carried throughout, offering a truly relaxed atmosphere to unwind in at the end of the day.